Brighton chiropractor Dr. Ty Crabtree treats all levels and types of athletes, including runners, cyclists, triathletes, dancers, and baseball and football players. Dr. Crabtree’s expertise in Graston Technique® and Active Release Techniques® make Commonwealth Chiropractic the perfect place to regain your health and return to your sport. When you’re injured, adhesions form, limiting your mobility and decreasing blood flow, which in turn results in pain. Repetitive use injuries can result from a tension that is created repeatedly from a specific muscle contraction, which also results in adhesion formation. By removing the adhesions, blood flow increases, and your body can heal exactly as it was designed to. Dr. Crabtree may perform different tests or evaluations for athletes based on what you present with. 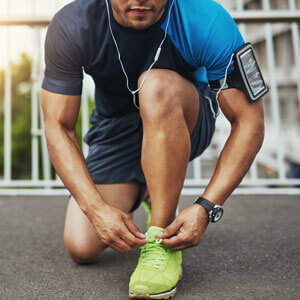 For example, if you’re a runner and we think that shoes are a part of your problem, he may ask you to bring them in for evaluation or provide custom orthotics that decrease overpronation. People regularly seek Dr. Crabtree’s help with an injury in preparation for a competition that has them doubting their ability to perform at their best. Often treatment allows them to return to training and compete without limitation. Other conditions that are often deemed chronic, like plantar fasciitis, can respond well to treatment and don’t have to keep you from living the life you deserve. Reduce your pain and improve your life. Contact us today to schedule an appointment! We’re in-network with most major area insurance plans and look forward to welcoming you to our practice.